In today’s complex hybrid cloud environments, MSPs, SMBs and large enterprises alike require a solution such as Traverse to help them reduce downtime for their IT services. The days of monitoring servers and routers in an isolated silo are gone. Businesses today require tools such as Traverse that offer real-time tracking and correlation of the business impact these devices have on overall IT services. The screenshot above gives customers visibility into network traffic within a hybrid cloud infrastructure across multiple environments and infrastructure components. Kaseya Traverse 9.3 supports more than 40 new devices and continues to enhance its monitoring and analytic capabilities for Managed Service Providers and small to midsize businesses. The platform currently supports the Amazon Web Services public cloud in addition to other vendors such as Nimble Storage and Dell Compellent. As the space dedicated to cloud-based monitoring solutions continues to evolve, Kaseya Traverse 9.3 will need to continue sharpening its product differentiation in order to effectively complete against a proliferation of vendors that offer IT management solutions for hybrid cloud infrastructures. In the here and now, however, the platform’s impressive machine learning capabilities enable it to scalably embrace the radical heterogeneity of contemporary IT infrastructures in ways that swiftly support root cause analytics and the proactive resolution of IT performance issues. Microsoft and Red Hat have reached a monumental agreement that enables hybrid cloud users to more easily deploy Red Hat solutions on the Microsoft Azure cloud. As a result of the collaboration, Microsoft has designated Red Hat Enterprise Linux the preferred vendor for Linux workloads on Microsoft Azure. Enterprise customers who want to use RHEL on Azure can now do so with the blessing of Microsoft’s support for RHEL on the Azure platform. In other words, customers can now deploy RHEL on Azure in ways analogous to the deployment of RHEL on Amazon Web Services. To enable this partnership, Red Hat will designate Microsoft Azure one of Red Hat’s Certified Cloud and Service Providers in upcoming weeks and meanwhile, Microsoft Azure customers can leverage Red Hat’s application platform such as Red Hat JBoss Enterprise Application Platform, Gluster and Red Hat’s Platform as a Service, OpenShift. The collaboration between Microsoft and Red Hat further includes enterprise-grade support for hybrid cloud environments marked by the participation of support personnel from both vendors to ensure that customers obtain the support they need. 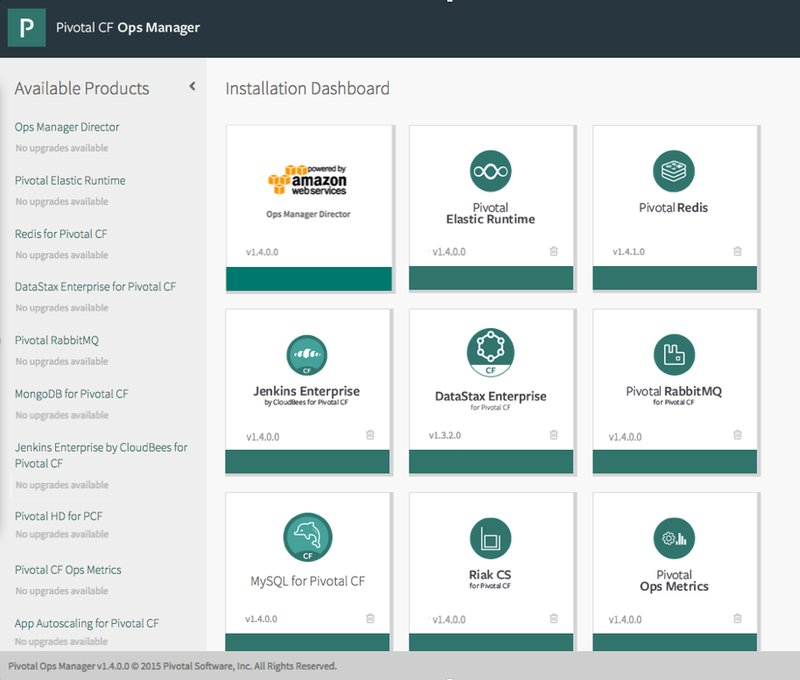 The partnership also features unified workload management within hybrid cloud infrastructures enabled by the integration of Red Hat CloudForms and Microsoft Azure and the ability of System Center Virtual Machine Manager to manage RHEL on Microsoft Azure. Moreover, the collaboration includes the ability to use .NET on Red Hat products and solutions in ways that expand the ability of developers to write .NET applications on Linux applications. Whereas previously developers often had to re-write .NET applications to use them on Linux, they can now use RHEL as the principal development platform for Linux. All told, the agreement between Microsoft and Red Hat continues to illustrate Microsoft CEO Satya Nadella’s commitment to partnering with vendors in contrast to Microsoft’s historical stance of failing to integrate with vendors and potential competitors. More importantly, the announcement illustrates Microsoft’s commitment to supporting hybrid cloud environments and its willingness to support RHEL on Azure, not only at a technological level but also at the level of integrated enterprise-grade support. All this illustrates how Microsoft is putting its eggs in the cloud basket as it attempts to consolidate its relationships with enterprises and reputation for delivering enterprise-grade products and services in anticipation of an intensification of the battle for cloud market share with Amazon Web Services. Microsoft’s strategy of focusing on rendering hybrid cloud deployments using Azure more flexible goes right to the heart of CIO considerations regarding enterprise IT cloud adoption and stands to position Azure strongly, particularly given the prevalence of RHEL within the enterprise. Expect Microsoft to continue deepening its partnership and cloud-related acquisitions as it puts the cloud first and stakes out its contention as the world’s premier cloud provider for the enterprise. On August 31, VMware announced the release of enhancements for the company’s public cloud platform in the form of VMware vCloud Air, VMware vCloud Air Object Storage and VMware vCloud Air SQL. VMware vCloud Air represents the public cloud component of VMware’s unified hybrid cloud platform. Recently enhanced VMware vCloud Air components include VMware vCloud Air Object storage, a portfolio of storage solutions for unstructured powered either by Google Cloud Platform’s Google Cloud Storage infrastructure, or by EMC’s EMC ViPR solution. Meanwhile, VMware vCloud Air SQL represents a database as a service SQL platform that delivers a cloud-based platform for the storage of relational databases. VMware vCloud Air also now features a suite of disaster recovery services that leverage cloud services to ensure uptime and availability of on premise and cloud-based deployments by means of a cloud-based management console for orchestration. Taken together, the storage, database and disaster recovery upgrades to the VMware vCloud Air public cloud constitute a notable enhancement to VMware’s overall unified hybrid cloud platform, which prides itself on the ability to deliver cloud services for any application and any device. Given the stark reality that enterprises using cloud services are almost invariably leveraging some kind of hybrid cloud environment, the enhancements to VMware vCloud Air position VMware to more effectively complement its dominance within on-premise data center infrastructures and deliver a stronger case for its unified hybrid cloud solution. The addition of Marten to HP’s world-class Cloud leadership team will strengthen and accelerate the strategy we’ve had in place for more than three years, which is to help businesses build, consume and manage open source hybrid clouds. Marten will enhance HP’s outstanding bench of Cloud executives and expand HP Helion capabilities, giving customers more choice and greater control of private and hybrid cloud solutions. As Whitman notes, HP’s acquisition of Eucalyptus strengthens its position with respect to hybrid cloud solutions for the enterprise, particularly given the success had by Eucalyptus in interoperating its private clouds with the Amazon Web Services public cloud. Moreover, the experience of Mickos in successfully commercializing open source software suddenly vaults HP’s chances of succeeding in the commercial OpenStack space to the level of Red Hat, IBM and Piston Cloud Computing, whereas previously its Helion cloud portfolio evinced little in the way of a promising commercialization strategy or roadmap. Even though details of the integration of Eucalyptus with HP remain scant, the one certainty that results from HP’s acquisition of Eucalyptus is that the market dynamics within the commercial OpenStack space have now shifted dramatically, almost as if overnight. The rest remains to be seen as Mickos has his work cut out for him if he is indeed going to rescue HP from the abyss of empty OpenStack rhetoric to a promising, full fledged product that can compete with the likes of Piston, who have already demonstrated success in mitigating the complexities specific to OpenStack deployment and operations by way of their Piston OpenStack platform. As a result of the acquisition, Martin Fink, the current leader of HP’s cloud business will continue as CTO. Terms of the purchase of Eucalyptus were not disclosed although sources close to the deal speculate that the acquisition price was less than $100M for its technology and 70 or so employees. The acquisition is expected to close in the fourth quarter of HP’s 2014 fiscal year.